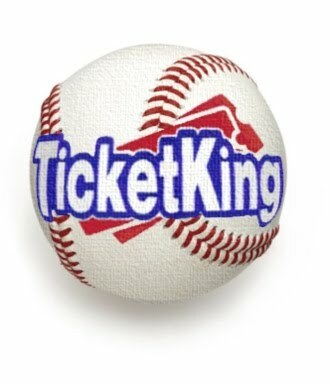 Ticket King Milwaukee Wisconsin: Brewers Pitching Dominates In First Two Months of 2018 | Ticket King Inc. Brewers Pitching Dominates In First Two Months of 2018 | Ticket King Inc. The Milwaukee Brewers currently stand at 24-17 and lead the National Central by less than a game over the St. Louis Cardinals. But for the last several weeks the Brewers have been very up and down. After their eight-game winning streak, they first traveled to Chicago to play the Cubs. The stay in Chicago didn’t go well for them, as they got swept in a four-game series that weekend, scoring a grand total of two runs, both in the same game. Following that four-game series, they traveled to Cincinnati, and predictably, they swept the Reds, scoring 16 runs in the three-game series. But, the difference between the Cubs and the Reds right now is the difference between a World Series contender and a contender for the first overall selection in the draft. Following the Reds series is when the Brewers started trading wins and losses, literally. So what has carried the Brewers to this solid start? Ironically it was their pitching that did the job. To this point in the season, they are eighth in the National League for ERA, at 3.54 and eight in WHIP, at 1.24. What’s their “shining stat?” Quality Starts. Milwaukee, of all teams, ranks third at this point in the season in quality starts, with 24. On Sunday, they called up one of their top pitching prospects, Freddy Peralta, who dazzled in his debut, pitching 5.2 innings and striking out 13 Rockies. So what is next up for these Milwaukee Brewers? They have six more games on the road before returning home. The first three are in Arizona against the Diamondbacks. The Diamondbacks, who sit in first place in a National League West will be a test for the Brew Crew. The Dodgers are in trouble out there, so the door is now open for either Arizona or Colorado to go get a division title. After three in the desert, they head north to Minnesota for three games against the Twins. The Twins have turned it around since their awful 3-13 stretch following the blizzard that canceled their entire series against the White Sox. Following the trip to Minnesota, the Brewers come home for a long 10-game home stand.